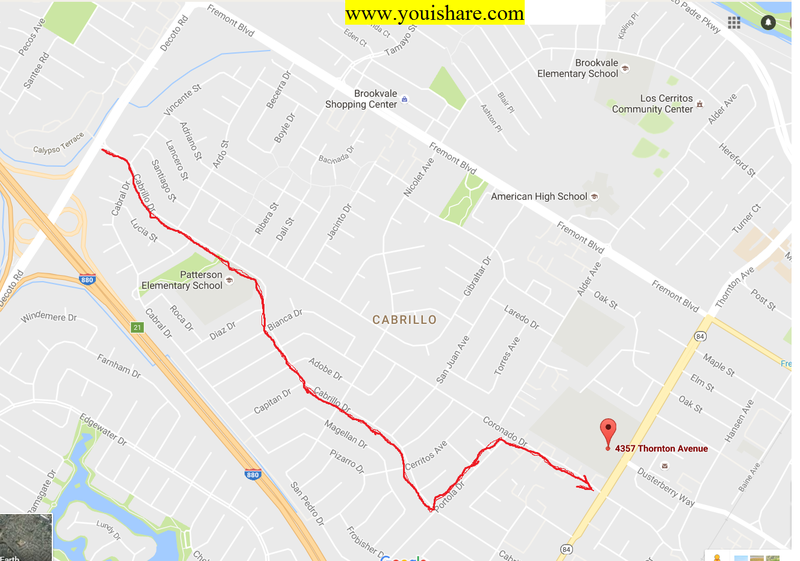 Preparation: Thornton Junior High's Address: 4357 Thornton Ave, Fremont, CA 94536 In the first day of school, there were severe traffic jams in Fremont Blvd and Thornton Ave and the traffic jam was much worse than what we expected. After the first morning, I have done some research on how to get to Thornton Junior High school and found a good alternative route to avoid the severe congestion. If you live around Fremont Blvd and Decoto Rd area, you can go through a better alternate way: Decoto ==> Cabrillo Dr.( turn left to) ==> Portala Dr.(turn right to) ==> Coronado Dr. ==> Thornton Ave ( or you can dropoff your kid in Coronado Dr. and it takes 5 or 6 minutes for them to walk to the classroom.). Do not go through Fremont Blvd and then turn to Thornton Ave, it's extremely slow or completely jammed in the morning rush hour. Because there are several schools in the same area and the overlapped time frame to get to school before the tardy bell rings. Things I wish I had known before: Patterson Elementary is on Cabrillo Dr., if you have Thronton Junior High students and choose to go through Cabrillo, you'd better to pass through this area before 7:45am which does not have much traffic. If wait to 7:50 or later, there will be also a few minutes delay because the slow traffic.